Shrinking technology has become the single biggest change that has spurred growth and progress in every industry. In a major boost to the food and healthcare industry, where temperature ranges have a major influence on the transport and storage of products and equipment, temperature trackers are invaluable. By shrinking the temperature tracker to a tiny 6mm thick, 16mm diameter wide device, the Thermo Button has revolutionised the way the industry looks at recording temperature data. There are many advantages of having a small device that can fit into any nook or corner, recording all the data you need. The Thermo Button can be easily placed in any kind of storage area, within boxes, inside trucks or in any other place where there’s space for a 6mm thick button. With just that tiny little sensor, you can record temperatures as low as -40OC and as high as 1400C with an error-range of just ±10C to ±0.50C. This sensor, as small as it is, comes with in a stainless steel case that makes it extremely durable against water and dust. If you are looking for a device that records temperature perfectly, and isn’t too large or bulky to place in tight spaces, then you have the perfect device in the Thermo Button. There are some places where logging and monitoring temperature is extremely important and difficult. 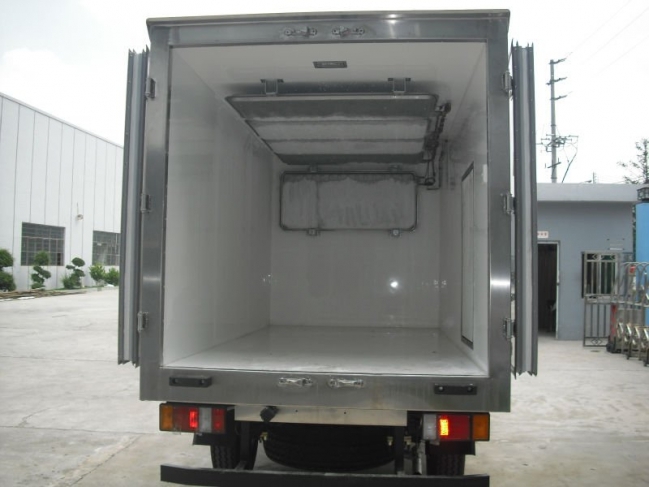 For example, cold storage transport facilities for biotech companies are required to maintain a particular temperature for safe transport of elements like blood. In cases like these it is vital to have a record of the temperatures for the duration of the journey – the Thermo Button keeps a perfect log. The Thermo Button is a useful tool in preserving the quality and integrity of the materials being stored or transported in any environment. It is, easily, one of the smallest and most accurate temperature logging devices on the planet. When the Thermo Button’s on the job, you can rest assured knowing that you won’t miss a thing!